British Royal Family member 'likely' to be sent on official state visit to Israel for first time ever. JTA - The British Royal House will “likely” send a member of the family to Israel on an official visit, senior diplomats said, indicating a decision to end a decades-long silent boycott of the Jewish state. British Foreign Secretary Boris Johnson told Israeli President Reuven Rivlin he would ask the Royal House to arrange a visit this year during Johnson’s visit to Israel this week, The Times of London reported Thursday. Senior diplomats then told the Daily Express such a visit was “likely” to occur this year, the centennial anniversary of the Balfour Declaration. The declaration, issued while the area that is now Israel was still under the control of the Ottoman Empire, represented a pivotal victory for Zionists and has been credited with helping pave the way for the establishment of the State of Israel in 1948. But relations between the Zionist movements and Great Britain deteriorated after the British were given the Mandate on Palestine – an area comprising modern-day Israel, Jordan and the Palestinian Authority – by the League of Nations in 1918. Amid violent uprisings by local Arabs, the British severely limited Jewish immigration to the area they controlled, including when Nazis murdered 6 million Jews in Europe. By the late 1940s, all the major Jewish Zionist movements in pre-state Israel were engaged in armed insurrection designed to drive out the British, who regarded these actions – and especially the deadly King David Bombing in 1946 – as terrorism. 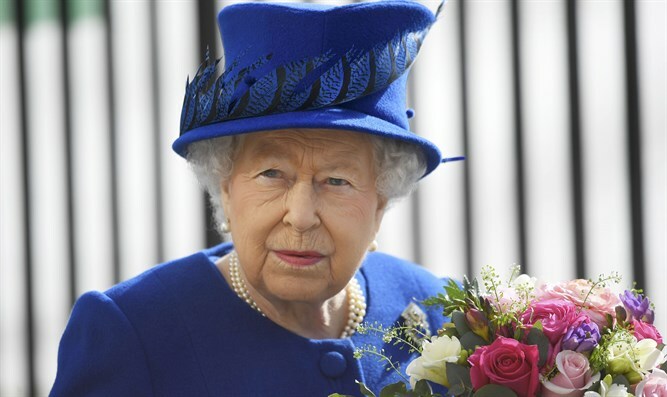 Whereas members of the British Royal Family, including Queen Elizabeth, have visited Kenya and other countries where acts perceived as terrorism were committed against Britain and its citizens by anti-colonialist combatants, they have stayed away from Israel in their official capacity since the country’s establishment. Neither Elizabeth nor Prince Charles are expected to visit Israel. Instead, a more junior member of the family — perhaps Princess Anne or Prince Edward — will be called upon to visit Israel, according to the Daily Express.